As part of my course, we spent an evening at the Blue Reef Aquarium in Portsmouth. I found this quite a challenge. Given the light conditions and the fact that you can’t always use flash, then high ISOs are the order of the day. But even then, it’s difficult to get a high shutter speed, and generally fish don’t like to pose. Some do though! Even with the high ISOs the D7000 coped quite well, and the pictures weren’t too grainy. I managed to get a set of pictures I was reasonably happy with. Some I like because of the idea I had, but they failed slightly in the execution. I don’t think that this is an area of photography that I am particularly interested in, or likely to pursue in the future. 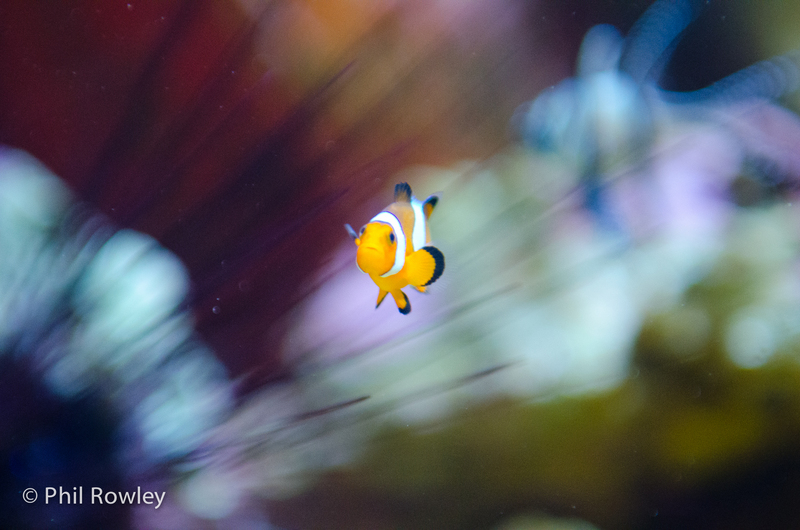 The Clown Fish is one of my favourites. The fish itself could have been sharper, but I do like it against the background. The full set can be found on Flickr.